Given the limited nature of these resources, it is imperative that we care for them in a way that ensures their longevity, while meeting the present needs of the community. 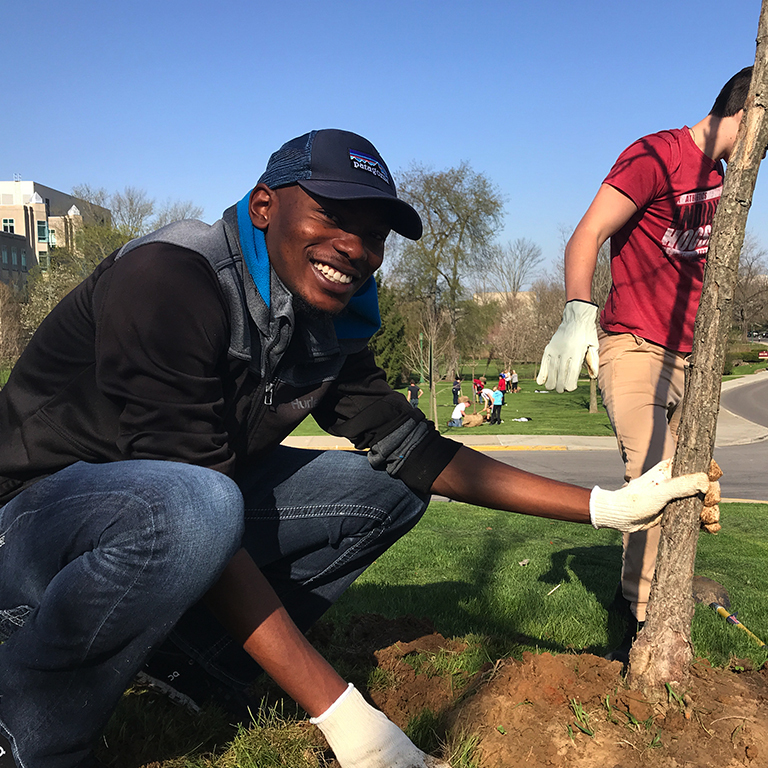 Based in both operations and academics, this area implements initiatives aimed at improving the current and future health of both the IU community and environment. Collaborative research and implementation projects have helped IU assess the overall quality of our campus resources and potential impacts on campus well-being. 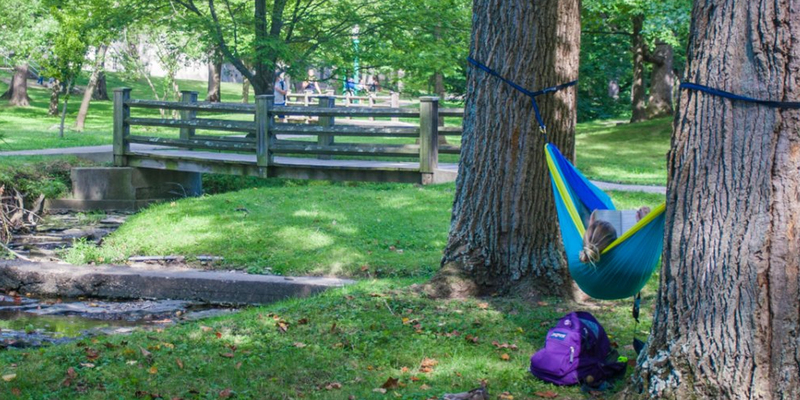 The 2020 Vision Goals includes three broad goals directly related to campus environmental quality: To increase the tree canopy by 1,000 native hardwood trees, to maintain at least 60% of the health and beauty of campus acreage organically, and to restore the Jordan River from its origin to Indiana Avenue as described in the Campus Master Plan. The commanding position of the land and the beauty of the natural forest which occupies it render this one of the most attractive college sites in the country. In addition to the 2020 Vision Goals, the University is also focused on restoration of the Jordan River and an integration campus tree inventory to achieve a more holistic vision of campus ecosystem health. The Jordan River riparian corridor project is focused on monitoring water quality along with aesthetic value. Through Indiana University service learning classes, surveying, and a recent partnership with Informatics to monitor activity on bridges. Additionally, a comprehensive IU Tree Inventory was created for the University Architect’s Office and Landscape Services identifying the locations, values, and various attributes of campus trees. 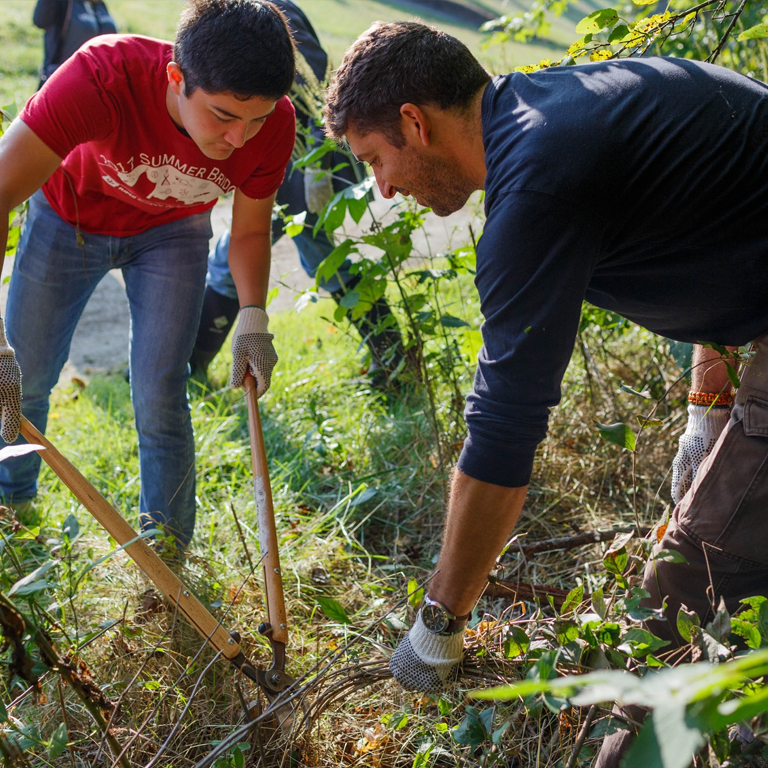 IU is actively addressing environmental quality and land use issues. Explore what's being done and discover useful resources being used by students and interns. Current initiatives such as the Bloomington Urban Woodlands Project help to leverage work done by facility operations, including integrated pest management and landscape services. Additionally, programs such as the Jordan River Restoration Project, the campus Tree Inventory and the designation of a Tree Campus USA add to the vitality of the campus. A continuously updated collection of resources can help you sustain IU to advocate a support a thriving and beautiful IU campus. If you would like to join this group or learn more about our current initiatives to to enhance, improve, and conserve natural elements such as: water, land, and air all while decreasing the size of our chemical footprint, chaired by: Mike Girvin, please contact us. The first Tuesday of every month from (2/5, 3/5, 4/2) 3:00PM-4:00PM atLandscape Services, 2222 East 10th Street.